PLAMA Developers is an integrated real estate developer focused on premium developments across South India with its head quarters in Bangalore. The company aspires to be among South India’s top real estate companies. 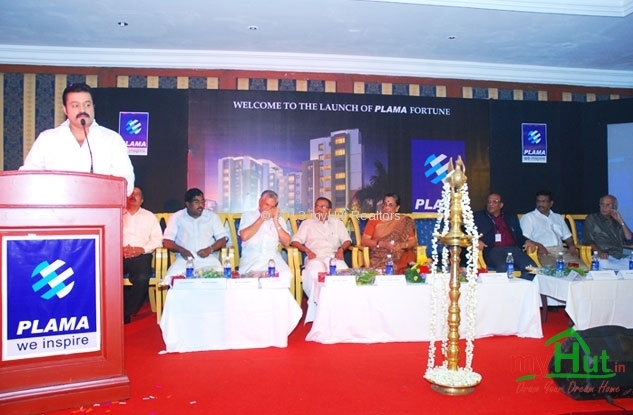 PLAMA has completed several landmark projects and is currently developing significant projects across South India. PLAMA brand reflects trade attributes of impeccable professionalism and bench mark of quality. Every individual who is a part of PLAMA strives to ensure quality in the areas of design, project management, execution and infrastructure development. We aim to build inspirational development for our customers with distinctive design, quality construction and finishing. Everything we do is aimed at delighting our customers and ensuring their loyalty over the long term, surpassing customer’s expectations. 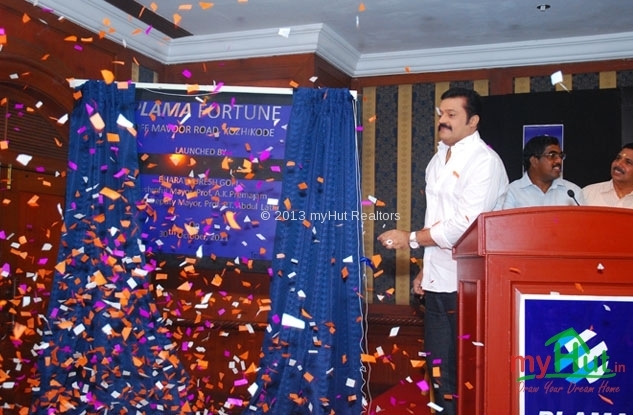 Plama Developers Ltd launched their new premium 2 and 3 BHK luxury apartment project ‘Plama Fortune’ in Marvoor Road, Kozhikode, here on Sunday October 30. The project is dedicated to those seeking international standards of living. 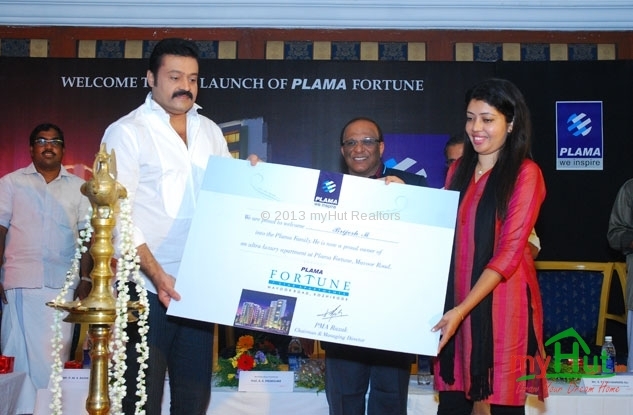 The project was inaugurated by cine actor Bharat Suresh Gopi. The lighting of the lamp was done by mayor of Kozhikode Prof A K Premajam. 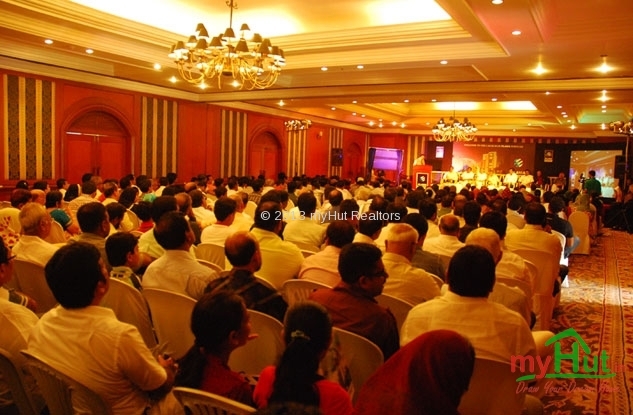 Deputy mayor of Kozhikode Prof P T Abdul Latheef presided over the programme. K.Abubacker resident editor of malayalam Manorama, K P Mohammed Ali, MD of Pumice Projects and Properties Pvt Ltd, Kozhikode were the guests of honour.P M A Razak, founder and chairman of PLAMA Developers Ltd was present.